Glenn Howard (Penetanguishe, Ontario) wins the NISSAN Curling Classic, defeating Tanner Horgan (Sudbury, Ontario) 6-3 at the Paris Curling Club in Paris, Ontario. Howard with Scott Howard at third, David Mathers and Tim March on the front end take home the $5,000CDN first place cheque along with 30.464 world ranking points, while Horgan receives $3,000CDN and 22.341 world ranking points for their second place finish. Starting with hammer, Howard scored 2 in the first end, then forced Horgan to a single in the second end. After a blank end, Howard scored a single the fourth end to extend the lead to 3-1, then added a steals in the fifth and sixth ends. Horgan scored 2 in the seventh end to cut the deficit but Howard scored a single in the eighth end for the 6-3 win. In the semifinals, Howard defeated Pat Ferris (Grimsby, Ontario) 6-1 and Horgan defeated John Willsey (Waterloo, Ontario) 5-2. Ferris and Willsey earned $2,000CDN and 17.263 ranking points for their semifinal finishes. In the quarterfinals, Howard defeated Ian Dickie (Newmarket, Ontario) 5-3, Horgan defeated Jia Liang Zang (Harbin, China) 5-2, while Willsey defeated Wayne Tuck Jr. (Strathroy, Ontario) 7-1 and Ferris defeated Mark Bice (Sarnia, Ontario) 7-6 in an extra end. Zang, Bice, Tuck Jr. and Dickie earned $1,000CDN along with 12.186 ranking points for their quarterfinal finishes. Howard went 3-0 in the 24 team triple knockout qualifying round. 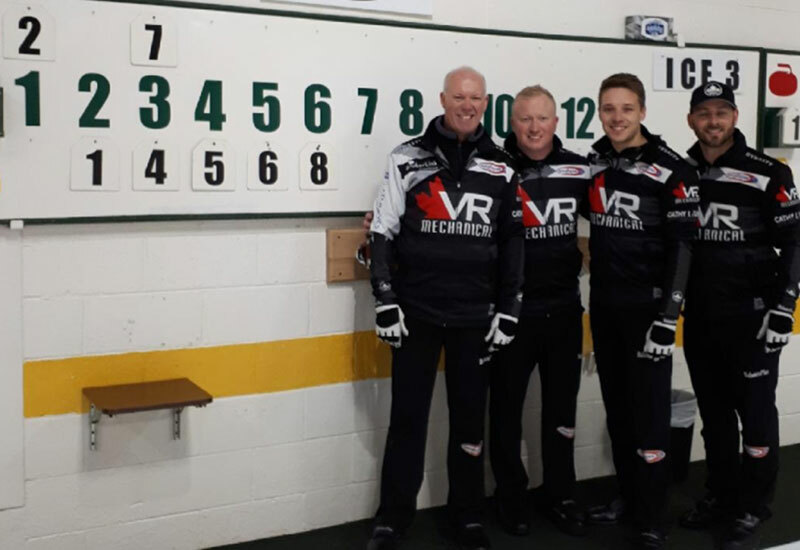 In their opening game, Howard defeated Rylan Hartley (Waterloo, Ontario) 8-1, then won against Paul Moffatt (Waterloo, Ontario) 9-4, to advance to the A-Qualifier game where they won 8-1 against Willsey to advance to the playoff round.